A Tyneside care home which smelled of "stale urine and faeces" has been closed and residents moved out after inspectors expressed safety concerns. Cleveland Park in North Shields specialises in dementia care and can accommodate up to 66 residents. The Care Quality Commission (CQC) said it identified "serious concerns" in almost every aspect of its operation, rating its services as inadequate. Operator Orchard Care Homes said the findings were "disappointing". During five days in October, inspectors said they found dried faeces on carpets, bedding and walls. Lounge furniture also gave off "offensive odours" and many other parts of the home had not been properly cleaned. The CQC report said the home presented a significant infection risk and that 54 residents who were in the home at the time had now been found alternative accommodation. The October inspections followed a CQC report in August, which also highlighted failures. 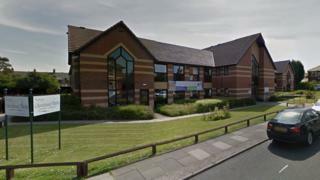 CQC deputy chief inspector of adult social care, Debbie Westhead, said: "We identified serious concerns in every aspect of care being provided and found that improvements required as a result of our previous inspection had not been made. "People living at the home were being placed at risk and we took urgent action to prevent the service from providing nursing care. "It is unacceptable that Orchard Care Homes had not taken proper steps to ensure residents' safety or to provide people living at the home with care that meets their needs. "We have been working closely with North Tyneside Council who has overseen the safe relocation of residents to alternative homes." A spokesperson for Orchard Care Homes said: "While the findings of the inspector were very disappointing, we worked closely with the regulator to improve standards and regret that the home was not given sufficient time to implement a robust and rigorous action plan before it was required to close." The site is due to be taken over by another service provider later this month, the CQC added. Orchard Care Homes operate about 80 homes throughout the UK.